ASHEVILLE, N.C. – Transportation projects that created economic opportunity with gateways to commerce, helped drivers get to their destinations faster with all-electronic tolling on an expressway, and greatly improved safety in a high-risk interchange through innovative project design were among the recipients of top honors in the southeastern regional America’s Transportation Awards competition. Seven transportation projects from six southeastern states were nominated in those categories. Two states took home awards in the Ahead of Schedule category. Georgia Department of Transportation won in the small category (projects that cost less than $25 million) for its I-285 & Ashford Dunwoody Divergent Diamond Interchange project. Mississippi Department of Transportation was awarded with the win in the medium category (projects costing between $25 million and $200 million) for its State Route 9-Mississippi’s Road to Toyota project. The Best Use of Innovation category included three winners: Tennessee Department of Transportation for its I-24 Bridges Rehabilitation project (small category); Florida Department of Transportation for its Dixie Highway Flyover project (medium category); and North Carolina Department of Transportation for Triangle Expressway project (large category, which contains projects costing more than $200 million). With the announcement of the southeastern awards, winners have been named in all four regional competitions. Next week, the 10 projects with the highest overall scores will be named and compete for the Grand Prize and People’s Choice Award. The Grand Prize winner is determined by a panel of transportation experts. The People’s Choice Award goes to the transportation project that receives the most online votes from the public. Online voting begins Sept. 4. 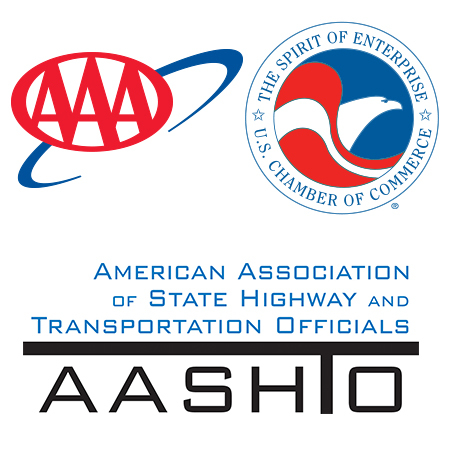 The winners of both awards will be announced at the AASHTO Annual Meeting in Denver in October.